Do you know what it feels like to die? Alastrina Byrne does; she dies all the time. She has felt the pangs of starvation, the wounds of being stoned and the burn of fire behind cries of “witch.” Yet, she cannot reach her true death. She is a three-century-old Imati with the face of a seventeen-year-old girl. Ally is on the run from Seeker assassins, a secret brotherhood determined to kill her kind. Forced to flee and pack up her life for the umpteenth time, she moves cross-country to hide out in a small, but quirky town: Belfast, Maine. Ally just wants to be “normal” — but she is haunted by the mistakes of her past. However Belfast and its residents are different and for the first time in a century, she meets a boy — Connor Winfield. But Connor has secrets of his own; secrets that could get Ally killed and the two of them together will change everything. Set in a world of immortals, Souljumpers, Seekers and ancient prophecies — with flashbacks to Ally’s life in 18th century Ireland, the French Revolution, 19th century South America, a slave ship bound for the New World, and beyond — this is a journey about choices and how the decisions we make in the past, have consequences in our future. Not sure if this question is asking how I am different from others within my genre, or how is my genre different from others. 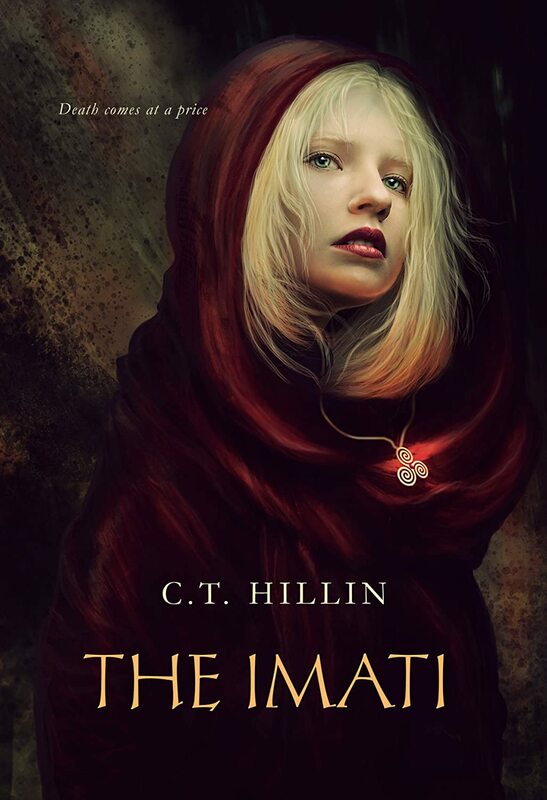 To answer the latter, “The Imati” is a mix of fantasy, mythology, romance, adventure and historical fiction. In publisher terms it’s classified as a Paranormal Romance, but it could easily be Urban Fantasy or Historical Fantasy. Frankly it’s a dream: I get to live out all my teenage superhero fantasies through characters and send my main characters on emotional roller coasters that will shape the rest of their lives. The options are limitless. The best advice is to write. I meet a lot of people who have an idea for a story or a script ( I am also a screenwriter) and the first thing I say people will ask is “Great can I see it?” Many don’t have an answer. You have to write it! Even if it’s not ready “to be written”, start writing it. Otherwise you never will. When I was bar tending many years ago a woman from the NY Times came in and of course, as an aspiring writer I wanted to pick her brain. She asked me “Do you a blog?” I didn’t. And she told me to start a blog. “Don’t blog about what you ate for breakfast like so many people, create compelling, thought out written pieces as if writing for NY Mag or something” she told me. Write them, even if no one reads them, and after a year you’ll have a portfolio of quality pieces. So I did. I still have that blog to this day. I originally was inspired to write “The Imati” because I wanted to turn the YA / superhero formula upside down so to speak. A lot of classic YA fantasy books are about an ordinary teenager becoming extraordinary (a superpower, finding out they hunt shadows, learning about Vampires, or becoming a wizard). I wanted to explore a character that was already extraordinary (an Immortal) and what would happen if she became ordinary again? How would she cope? How would all of her mistakes in the past make up who she is today? C.T. Hillin graduated from Yale in 2007 with a degree in Political Science. A screenwriter from Los Angeles, Hillin has had several movies produced including “A Stranger in Paradise”, starring Colin Egglesfield and Stuart Townsend, and “Pernicious” a horror flick directed by James Cullen Bressack. Previously Hillin wrote for the entertainment news site TMZ, and is currently writing for The Huffington Post. Her love for history—a major inspiration for “The Imati”—is due to her own world travels, from studying abroad in Paris, to filming in Thailand, and many trips throughout Europe and Asia.